“Our whole universe was in a hot, dense state…” and then ten years ago something pretty incredible happened – The Big Bang Theory hit our TV screens with, well, a bang. Two of the biggest and brightest names in TV sitcoms put their heads together to create one of the most watched shows of our generation. 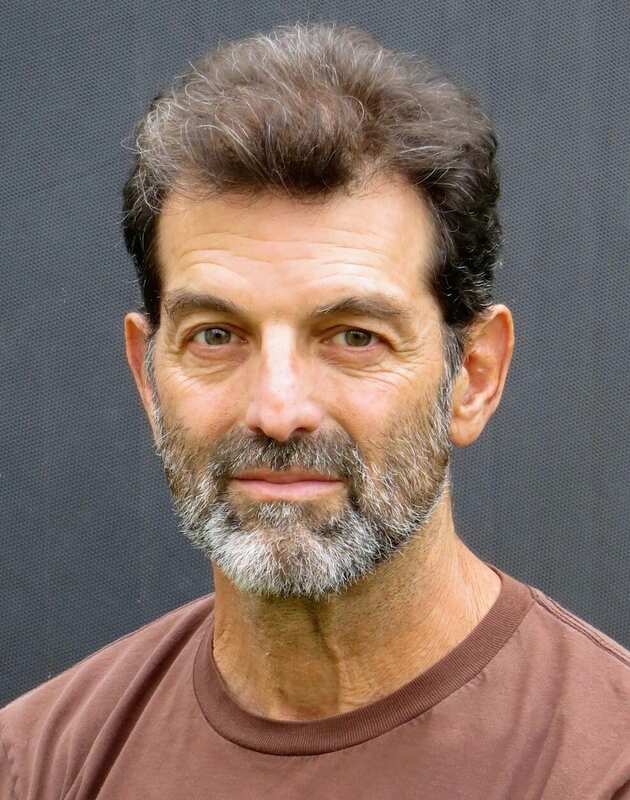 Chuck Lorre, known for his work on Two and a Half Men and Roseanne, teamed up with Bill Brady, known for Married… With Children and The Muppets, back in 2007. The pair put together The Big Bang Theory with an idea that it may become popular with Generation X’ers and Millennials alike, but little did they know HOW popular. The Big Bang Theory (TBBT) follows a group of nerdy friends, who all live in Pasadena, California, and many of whom work together at Caltech. There’s Leonard (Johnny Galecki) and Penny (Kaley Cuoco), Raj (Kunal Nayyar), Howard (Simon Helberg) and Sheldon (Jim Parsons), alongside a whole host of guest stars and cameos. But as entertaining as they are on screen, we wanted to find out more about their lives once the cameras stop rolling. When it comes to our favorite Big Bang Theory cast members, our curiosity seems to know no bounds. Are any of them really that smart? Are any of them truly that socially awkward? What do they look like outside of the world of The Big Bang Theory? And does Jim Parsons wear a flash t-shirt in real life? It’s weird to see our favorite characters as real human beings, but that’s what they are. Sometimes, the actors and actresses are closer to their characters then they’d like to admit. Other times, they actually learned more about the world of geekdom through their participation in the show. And then you have the people who are nothing like the characters they play! So, who in The Big Bang Theory really could be a physicist and who is just playing smart? To answer all these questions and more, we’ve dug deep and looked into the lives of the many Big Bang Theory stars and guest stars. Learning more about the actors and actresses has made the work that they do on the show that much more special, particularly after discovering some of the more difficult – and inspiring – experiences they’ve had to overcome. Read on to follow their journey all the way to the Big Bang. Leonard has been one of the original cast members since the airing of the pilot. Despite his occasional complaining about Sheldon’s eccentricities, he is still shows superhuman levels of patience toward his best friend. Though he is generally considered pretty nerdy, Leonard is actually quite savvy when it comes to women, at least when compared to his friends. His neighbor across the hall, Penny, captures Leonard’s heart early on, with the two finally marrying during the ninth season after years of on-off dating. In real life, John had been involved in many projects before he landed one of the starring roles on The Big Bang Theory. 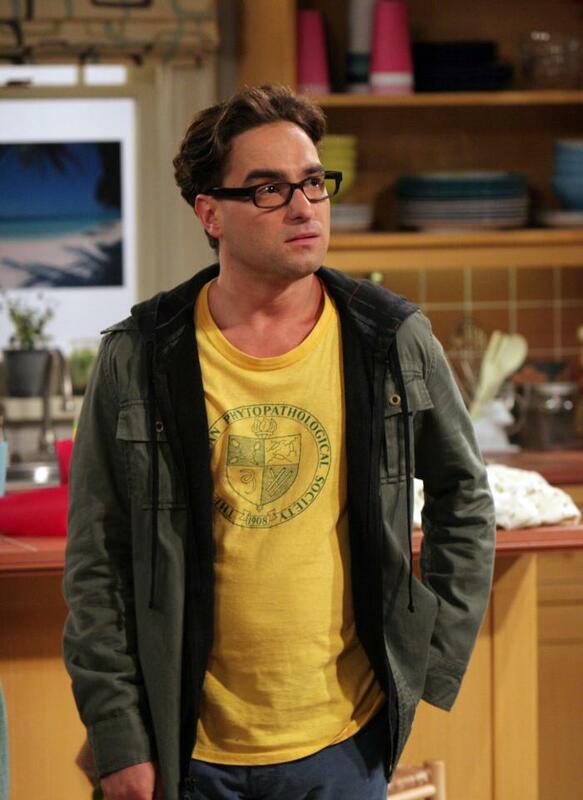 However, none of them took off as Leonard Hofstadter did. The character has won John many awards, including an Emmy for the leading role in a comedy television series. When season eight was in the works, John managed to renegotiate his salary as he was being paid $350,000 per episode, whereas now he receives close to $1 million. This character is one that millions of people have grown to love. Sheldon’s constant antics have kept the world entertained since the pilot episode as he struggles to grasp such concepts as humor, sarcasm, and empathy. He also lives his life by a strict routine, much to his roommate Leonard’s annoyance. 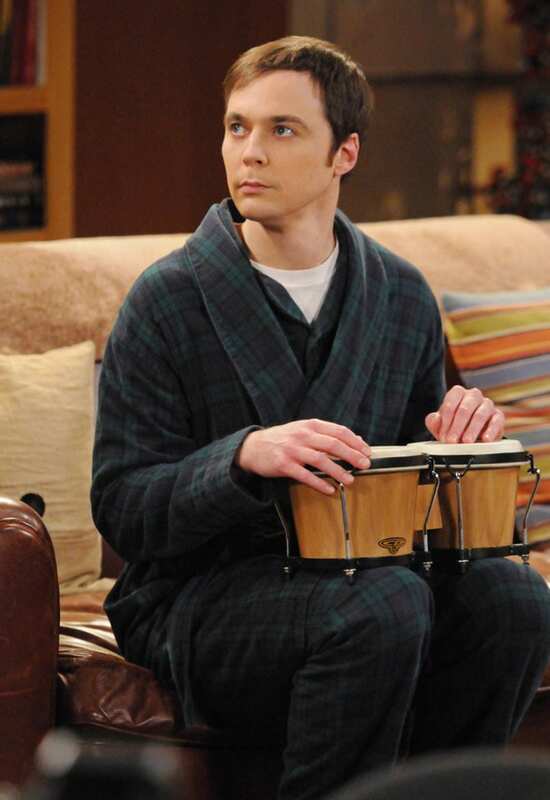 Sheldon works as a theoretical physicist, and since the fifth season has been in a relationship with Amy. In season 10, the two get engaged, after years of his friends (and some viewers) questioning his ability to love. The show also managed to shoot this actor to stardom as his role made him a sought-after name in Hollywood. He has expanded his acting parts to include the voice of Oh, the lovable alien from the children’s film Home. 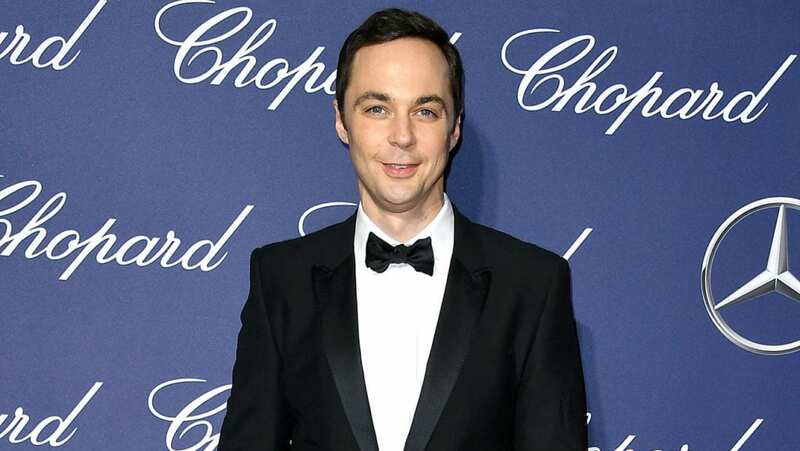 Jim is only 44 years of age, but has already won himself a number of awards, alongside being one of the highest paid comedy actors on television around the world – Jim is one of the Big Bang cast mates to secure a $900,000 per episode deal. Leslie works alongside Leonard at Caltech as she, too, works in experimental physics. The character is written as the female Leonard who wears the same clothes and glasses frames. Though (the real) Leonard plucks up the courage to ask Leslie out on a date during the first season, it is Howard that Leslie eventually ends up having a relationship with, although she doesn’t reciprocate his feelings. Additionally, Leslie is known to have an everlasting feud with Sheldon throughout the series. 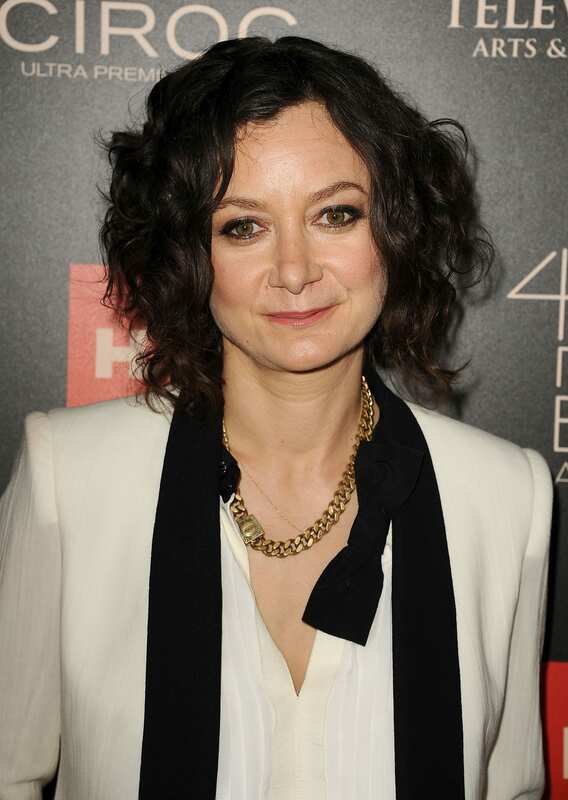 Sara Gilbert is now 42 years old in real life, who lives with her wife, Linda Perry, and Sara’s three children from previous relationships. Before The Big Bang Theory came into her life, Sara became famous for her role on the sitcom Roseanne, where she played Darlene Conner. It has recently been announced that Sara will be bringing the character back to life, as well as taking on the role of executive producer for the show when Roseanne will be revived next year. Howard works as an aerospace engineer at Caltech and even managed to go to space. He is consistently under the thumb of his mother who loves to treat him as her baby boy, despite his many achievements in science. It is Penny who introduces him to Bernadette in the third season, when they are both working as waitresses at The Cheesecake Factory. Bernadette and Howard tie the knot in the fifth season and go on to have a little girl, named Hallie. Since the show, Simon has been involved in the movie Florence Foster Jenkins, where he worked alongside Hollywood juggernauts Hugh Grant and Meryl Streep, as well as voicing Bian Zao throughout the Kung Fu Panda television series (fun fact: Helberg actually has a black belt in karate!) 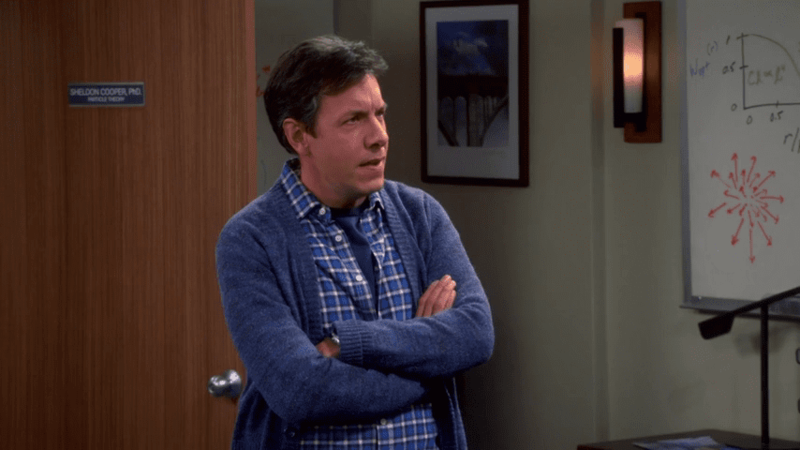 Unlike some of his Big Bang co-stars, he takes home a “measly” $750,000 per episode – though maybe if producers heard about his black belt they would up his salary? Either way, he’s married to actress Jocelyn Towne and they have two children together. The character of Amy is brought in for the finale of the third season. Her and Sheldon meet on a date after Howard and Raj used an online dating website to find Sheldon’s perfect match. Amy works as a neurobiologist and compliments Sheldon’s personality perfectly. The couple have a brief split during the show, but their relationship is rekindled, and they are engaged by season ten. Amy is also part of the girl posse on the show, which is comprised of her, Bernadette and Penny. 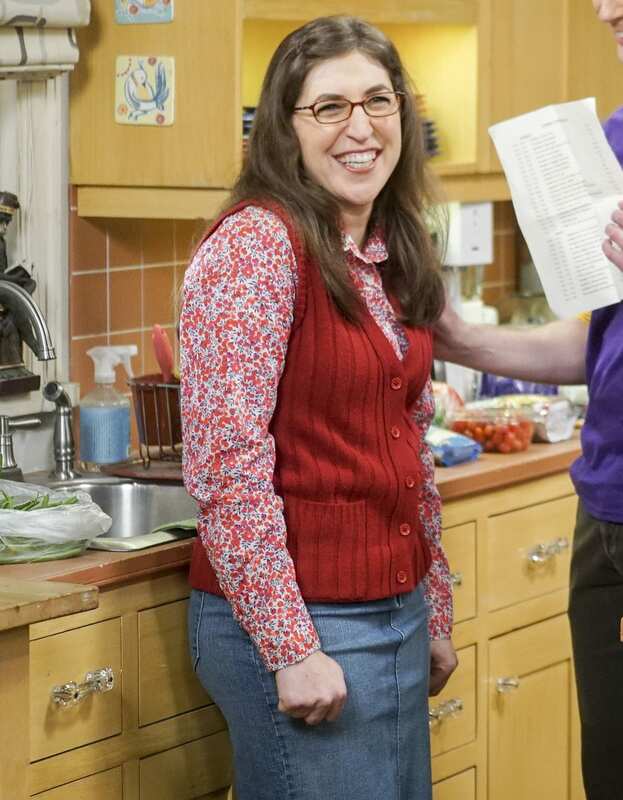 The Big Bang Theory is far from Mayim’s first acting role, as she has been in the business since she was 12. After starring in ’90s sitcom Blossom, it was her role on Big Bang that propelled her back into the spotlight. Just like Amy, she is a neuroscientist, and in fact Amy was written to be one as a nod to Mayim’s actual CV. Mayim is currently acting in season 11 of the show and signed for the 12th, earning half a million dollars per episode. This dermatologist meets Raj during the seventh season after she sees his profile on a dating site. However, Raj ends up dating Emily while continuing seeing Lucy. Surprisingly, Emily doesn’t mind, and Raj falls for her dark humor and passion for horror films. Raj decides to end things with Emily when he meets another suitor, Claire, but when Emily calls him, she and Raj continue their relationship. Once again Raj is dating two women, but he eventually ends it with both Claire and Emily. Laura has been pursuing other acting roles since her time on The Big Bang Theory. While playing Emily, she was also on Bones where she played the character of Jessica. Recently she has just finished shooting for the short film Vitality where she plays a character named Christine. Spencer has also been racking up the acting credits in online productions, with her latest project being the 2016 web series Edgar Allan Poe’s Murder Mystery Dinner Party, where she played the role of none other than Jane Austen. Another member of the core gang is Raj, the astrophysicist who is introduced as Howard’s best friend in the pilot episode. He is often seen hanging out with everyone at Leonard and Sheldon’s apartment. At the beginning of the show, his anxiety in social situations meant he was unable to talk to women, which meant a lot of frustrating interactions for our lonely lab bro. Nonetheless, he was able to face his fears and go on to date many women, including being part of a love triangle at one point. Since his star turn on Big Bang, Kunal has gone on to act in the movie Dr. Cabbie where he played the role of Tony, as well as voice Guy Diamond in the movie Trolls. 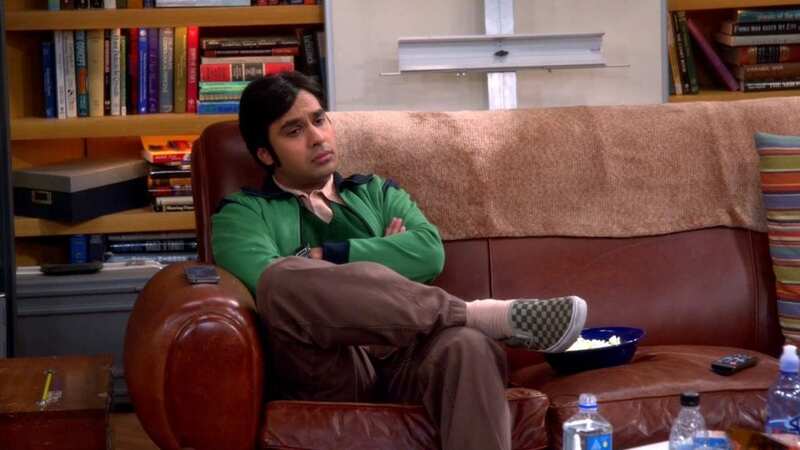 At 36 years old, Kunal is doing well for himself, as he brings in $750,000 per episode of The Big Bang Theory. We’re hoping that unlike his character on the show, Kunal manages to speak to his gorgeous wife, Indian model Neha Kapur, without relying on some liquid courage. 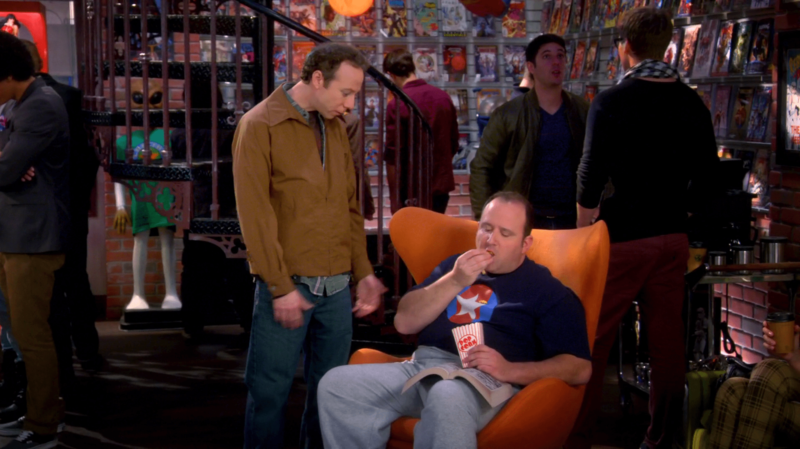 The show wouldn’t be complete without Stuart’s comic book store. The character makes his first appearance during season two as the group make regular visits to his shop. Stuart is known for being alone and feeling just that but does manage to make a strong connection with Raj during Howard’s time in space. Even though he’s their friend, Stuart is often left feeling like he doesn’t belong in the group as he continually looks for reassurance from them. Stuart also regularly has financial issues and struggles with his emotions, his loneliness in particular. The Big Bang Theory was just another step along the road to success for Kevin as he has already made a name for himself in Hollywood. One of his most famous roles was when he took on the character of Supernerd for the movie A.I. Artificial Intelligence, directed by Spielberg in 2001. At 46 years old, Kevin doesn’t have any money worries, either (unlike his on-screen character), as he is currently making $50,000 per episode he is featured in. A microbiologist who made her first appearance on the Big Bang Theory in the third season, Bernadette Wolowitz was first introduced to Howard by Penny. While the two have nothing in common at first, they quickly bond over their overbearing mothers. 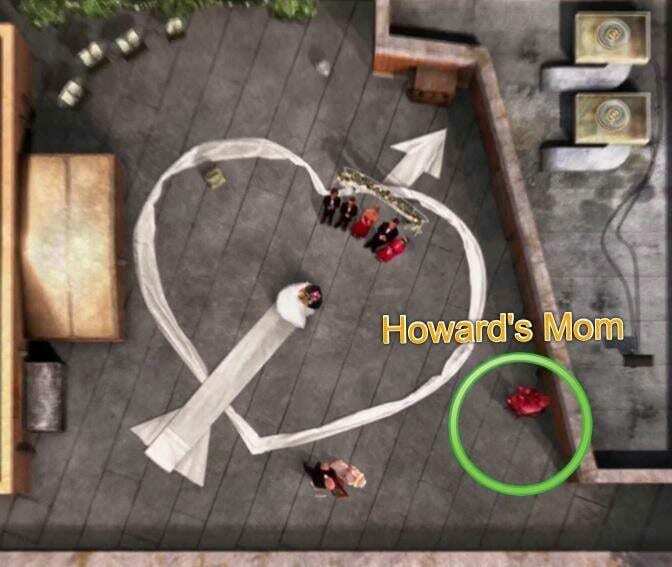 Howard finally asks Bernadette to marry him in the fourth season, and the two marry in the fifth season. After overcoming their different backgrounds and personalities, they eventually have a child together, who they decide to name Hallie. Melissa Rauch has actually made several appearances on television before she landed her star role in The Big Bang Theory. She had several small roles in both The Office as well as True Blood, and had some acting roles in movies such as The Bronze (which she co-wrote with her brother Winston Rauch) and Are You Here. After agreeing to stay on Big Bang for its 11th and 12th season, Rauch is currently pulling in a half a million dollars per episode. Howard’s mother, Debbie, had a pretty recognizable voice, which is good, as no one ever saw her face on screen! This domineering mother had a heavy New Jersey accent and was always shouting at Howard for one thing or another, as if he were still a child. Over the years, there were small glimpses of Debbie in the background, or sneakily crept in. Her booming voice and big personality made her a fan favorite, and has been sorely missed ever since she passed away in her sleep. 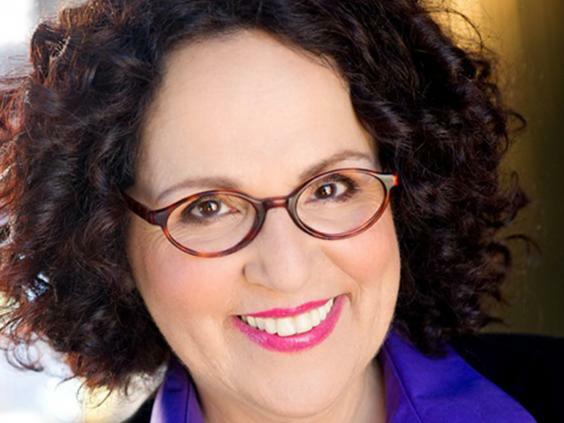 It was a tragic day when fans around the world learned that Carol Ann Susi had passed away after suffering from lung cancer. The actress was just 62 years old at the time. The Big Bang Theory covered her untimely death well as her co-stars, and members of the crew were all grieving after her loss. The producers of the show released a moving message where they spoke of how much fun Carol brought to the show, and how she would stay with them forever. Claire works as a bartender while also writing scripts. She meets Howard and Raj at Stuart’s store where Claire enlists Raj to help her write a sci-fi movie for children. Raj feels there is chemistry, but initially Claire does not. However, after Raj splits up with Emily to pursue a relationship with Claire, Claire begins to see him in a different light. She starts dating him knowing he is still seeing Emily, until he eventually breaks up with them, both. We guess you could call that a Raj decision. This 30-year-old actress has had some pretty exciting roles to play over the years before getting the part of The Big Bang Theory. Some of her work includes characters on Two and a Half Men, American Horror Story, and Husbands, with many more to her name too. It doesn’t seem that Alessandra will be making a return as Claire to the show, but she has just finished her role in the movie Step Sisters where she plays a character named Amber. Raj’s younger sister, Priya, is studying as a law student when she appears in in season 4. Behind everyone else’s back, she and Leonard begin dating, but Raj soon discovers their secret. Priya gives Leonard an ultimatum as she insists he has to cut contact with Penny to continue their relationship. Priya is forced to return to India when her parents find out about their her secret relationship. The couple attempts a long distance romance, but neither can remain loyal to the other. One good role can often kickstart an actor’s career, and for Aarti, her role on The Big Bang Theory meant she quickly got picked up by other shows. She was cast on Suits where she played Maria Monro, as well as playing the character Agent Laura Kenney for the television series Scandal. The 39-year-old has also starred in I’ll See You in My Dreams where she played Dr. DaSilva, in addition to appearing in the weepy Grey’s Anatomy, and filming the upcoming film drama Love Sonia. During the second season, Stephanie makes her debut when she is working as a surgical resident and doctor at the hospital Howard must visit. He begins to flirt with his doctor – even offering to let her drive the Mars Rover he is in charge of – but Stephanie ends up going out with Leonard instead, much to Howard’s chagrin. 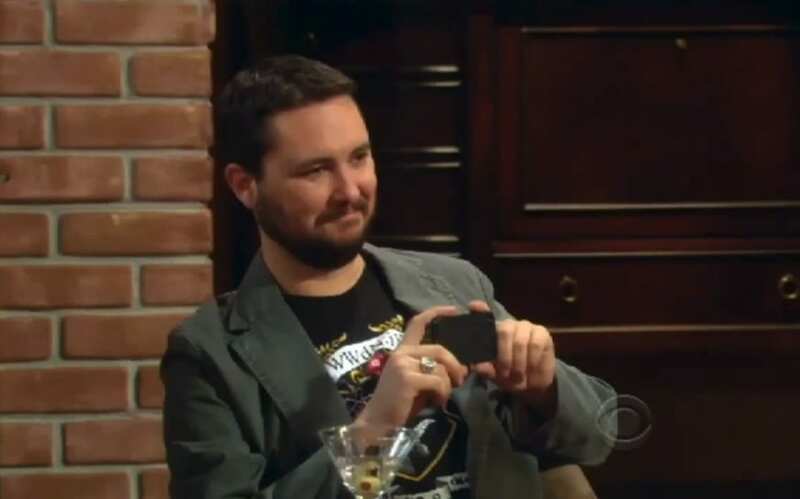 Stephanie and Leonard become a couple, with Stephanie spending more and more time at his and Sheldon’s apartment. After finally realizing she has practically moved in with him, Leonard panics and decides to break up with her by via text. Since she left the show, Sara has been cast as many minor roles for various TV series. Some of these include her role as Brenda in the show Rules of Engagement, her time playing Kim Sallinger in Malibu Country, and the character of Candice for the show Mom. While the 38-year-old Rue has yet to become a household name, she is set next be seen playing the role of the librarian in A Series of Unfortunate Events when it premieres on Netflix at the beginning of next year. Alex appears on the show when she lands a job as Sheldon’s assistant. Even though she is a physics doctoral student, Sheldon gives Alex the tedious tasks that he doesn’t want to do rather than letting Alex help him with his research. After she is introduced to the other friends, Alex begins to develop feelings towards – you guessed it – Leonard. Even though Leonard doesn’t catch her drift, Penny picks up what she is laying down. When Alex asks Leonard out on a date, he decides to decline. Fans of the show that grew up watching the Even Stevens may have been having déjà vu when they saw Margo for the first time. This is because she has previously played Tawny Dean on the show who was good friends with Shia LaBeouf’s character, Louis Stevens. After the success of her character on the show, recently Margo has been acting in Bones where she played Alison Kidman, as well as landing a part in NCIS where she played the character of Delilah Fielding. Kurt is introduced to the audience as one of Penny’s ex-boyfriends. She had previously lived with Kurt for a number of years after she had moved from Nebraska to California before the couple split up. 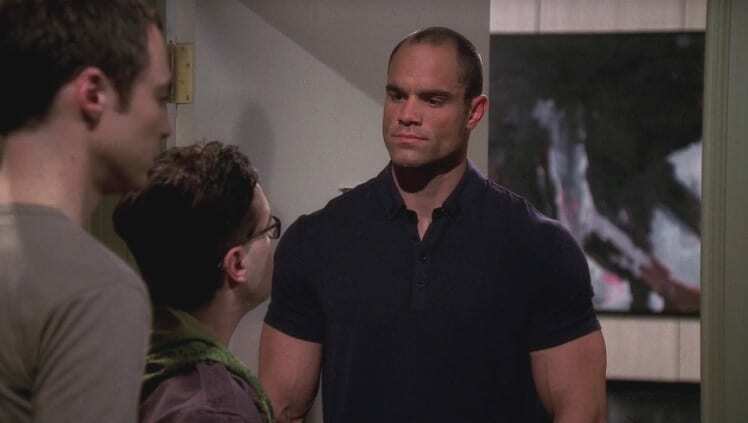 Kurt is written as the polar opposite to Leonard as he is tall, muscular, and not particularly bright; he quickly becomes Leonard’s enemy as the two compete for Penny’s heart. Penny admits that she doesn’t like Kurt anymore, but it still takes a while for her to be able to move on from him. Brian had been involved in many TV shows and movies before he got the role as Kurt on The Big Bang Theory. Some of these included his role in the movie Bring It On Again where he played Fatneck, as well as a part in The Guardian where he played Mitch Lyons. In the years following his time on TBBT Brian has landed many smaller roles for shows but at 39 years old is now working as a personal trainer having decided to take some time away from acting. Howard and Bernadette are on a double date with Leonard when Bernadette introduces him to her friend Joy, a loud and self-obsessed woman who turns up to a swanky restaurant wearing her gym clothes, announcing she was late due to attending a spin class. Despite Leonard declaring it was the most horrific date he had ever been on, when Joy there may be something in it for him if her accompanies her to a wedding as her date , he jumps at the opportunity. 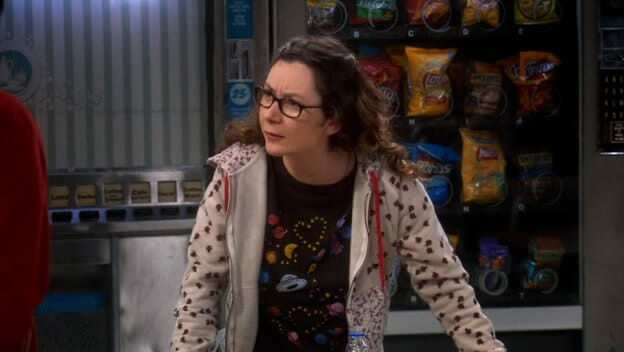 Charlotte had been acting before she played Joy on the Big Bang Theory, as she had been Jules Hayes on the show Brainstorm, as well as Professor Baker in Community. After her short time on The Big Bang Theory, Charlotte got a part on Idiotsitter where she played the character of Billie. This is now what Charlotte is recognized for the most, but she has also done voice work for cartoons such as Adventure Time and Mike Tyson Mysteries. Much like Penny, Alicia is an aspiring actress who lives in the same building as Leonard and Sheldon. Sheldon approves of their new neighbor after she can answer all the odd questions he throws at her, while Raj, Howard, and all Leonard fall hard for the stunning new girl. However, when Penny discovers Alicia is only being nice to the boys so they’d help her in different tasks, she becomes furious and confronts Alicia. Penny then meets the guys with a black eye, after which they stop helping Alicia out. Since the turn of the century, Valerie has been seen acting in various movies and television series, including an appearance in Tropic Thunder where she played the assistant to Damien. A few years ago in 2012, Valerie was able to land herself a more significant role in the comedy TV show Sullivan & Son where she played a character named Melanie Sutton. Ever since Valerie has been cast to play smaller roles in movies and TV shows once again. Penny brings Christy into the show as she is practically family after Christy was engaged to Penny’s cousin while Penny was dating her brother. 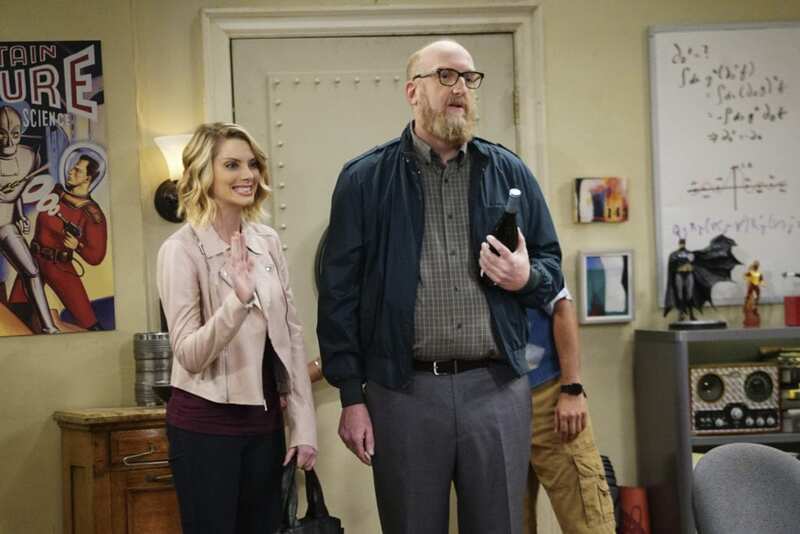 Penny lets her stay in her apartment where Howard and Christy begin dating each together. However, Christy is merely using Howard as a way to feed her materialistic habits as he buys her gifts when they are together. Christy ends up leaving Howard after his mother informs him that he won’t be in the will if they continue to date. The Big Bang Theory was a huge stepping stone for Brooke as since her appearance she has been offered roles on many shows. Brooke has appeared in Happy Hour as well as How I Met Your Mother. 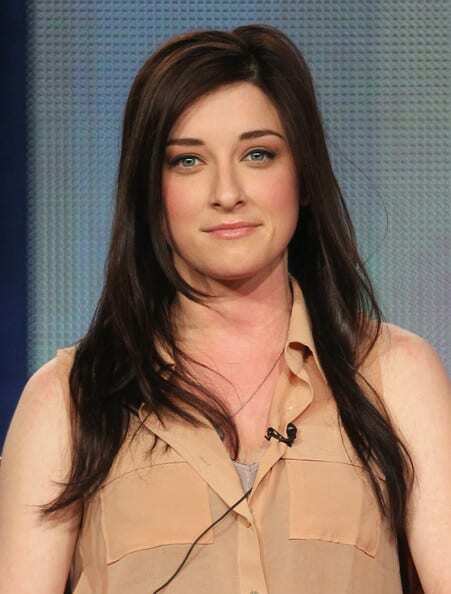 One of her longest running shows was when she voiced Caitlin for 6Teen as she featured in 86 episodes. Brooke has played two different roles for Two and a Half Men during 2007 and 2014. Her latest role was for Royal Pains, but now at 35 years old she is taking time away from acting. Appearing during a flashback of Leonard telling Penny about when he first met Sheldon, Sebastian is explained to be Sheldon’s former roommate. He bumps into Leonard when he comes out of the elevator and Leonard is asking where he can find Sheldon’s apartment as he had just got his job working at the university so was looking for a place to stay. Sebastian tells Leonard to turn around before it’s too late, as well as writing “Die Sheldon Die” on the wall in red paint. When he first appeared on The Big Bang Theory, Steven was just beginning his career as an actor. 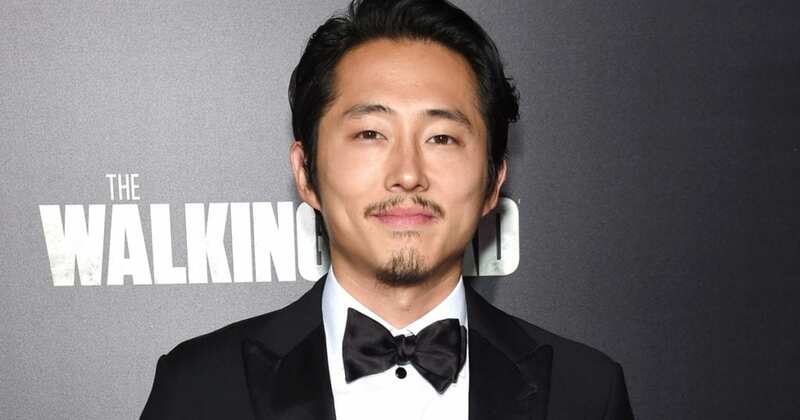 He has now made an incredible name for himself in Hollywood after he got cast as Glenn, one of the starring roles in the show The Walking Dead. He continued to act in the series until season seven where he met the death of his character, but that didn’t kill off his career. Since then Steven has voiced a character for Trollhunters and has recently starred in the movie Burning. Ramona makes her debut to the show when she meets Sheldon in the lunch hall at Caltech. She sets up dinner for the pair that she wants to bring to his apartment. Everyone thinks Ramona is acting like a stalker, but Sheldon just sees the offer as getting himself free food. When Ramona turns up at Sheldon’s apartment, everyone sits down to watch their dinner date. However, things take a nosedive when Ramona asks to be credited on Sheldon’s theorem, at which point he promptly asks her to leave. Over the years Riki has had an incredible acting career where she is most recognized for her characters in The Last House on the Left, and Million Dollar Baby. As well as starring in movies Riki has also been playing one of the leading roles in the sitcom Another Period. Riki is now 38 years old and has the thriller movie Under the Silver Lake to look forward to. The film has given Riki a chance to work alongside Riley Keough (Elvis’ granddaughter, no big deal), as well as Spiderman 2.0 Andrew Garfield. Angela is the FBI agent in charge of doing Howard’s background check before being cleared to join the Equipped Surveillance Satellite Team. 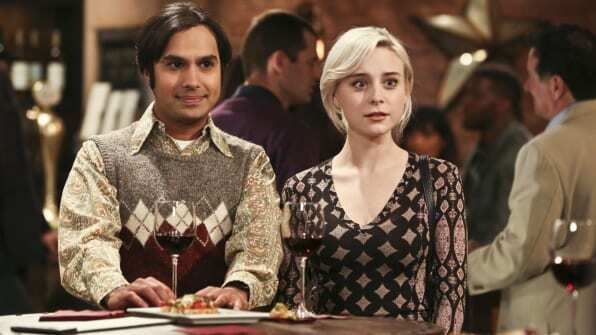 Raj only speaks about how he is legally allowed to live in the U.S.; Leonard tries his hand at flirting with Angela who reveals her Navy SEAL husband won’t be happy, and Sheldon accidentally lets slip that Howard had used the Mars Rover to woo a girl but had managed to crash the vehicle. Needless to say, the background check does not go well. Before her appearance on The Big Bang Theory, now 36 year old Eliza was already a massive name within Hollywood. Some of her most famous roles included her character Missy Pantone for the film Bring It On, as well as playing rough and tumble Faith in both Buffy the Vampire Slayer, and its spinoff, Angel. Eliza has gone on to land the leading role of Echo in the TV show Dollhouse, as well as playing characters in Bull on CBS, and Banshee on Cinemax. Missy and Sheldon aren’t just siblings – they’re twins! Even so, Missy is the polar opposite of her physicist brother as she is charismatic and a social butterfly. Howard, Raj, and Leonard all fall for Missy, spending their time fighting to gain her attention. Sheldon declares that as her brother he will make the decision for her, but Missy doesn’t like this idea, opting instead to spend her time with Penny. The boys all try winning Missy over, but as she is mostly at Penny’s, no one is successful. Courtney’s appearance on the show was one of the first acting roles she managed to land. Since playing Sheldon’s sister, Courtney has got various other roles on television shows, but most of them have only been minor parts. She was able to play the character of Claudia on the show Mom for two years, which gave her the chance to work with comedic superstars the likes of Allison Janney and Anna Faris. At 36 years old, Courtney has recently appeared in the movie Feed, where she played a character named Kate. 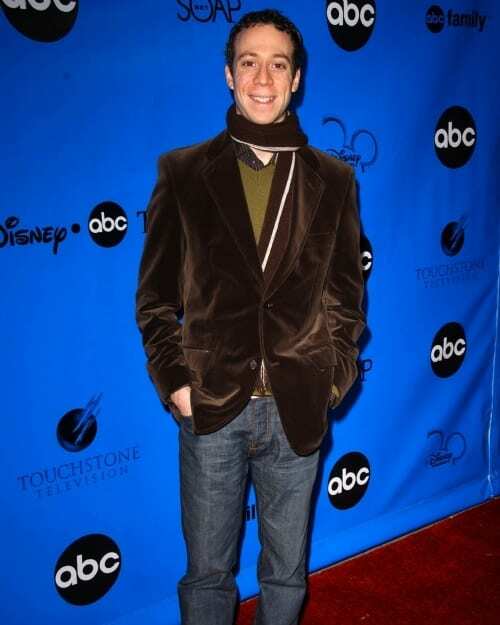 One of the many antagonists in the show is Barry Kripke, the character we all love to despise. 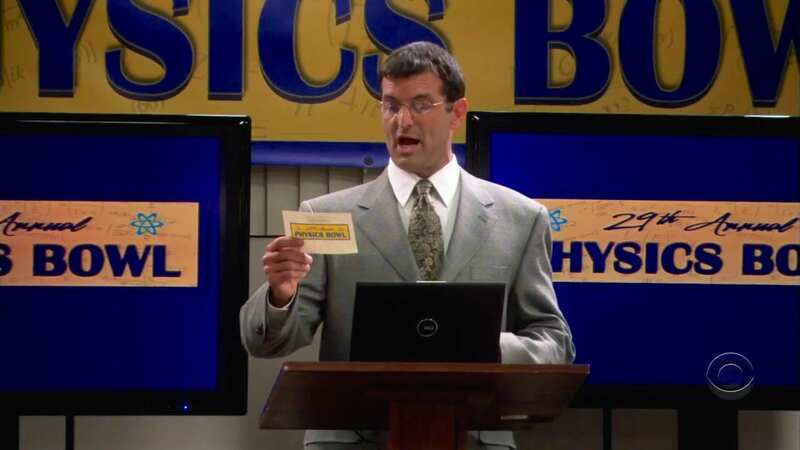 His job is a bit of this and a bit of that, as he works as a string theorist as well as a plasma physicist, all while unsuccessfully trying to pronounce the letter “R.” He uses his considerable intelligence to wind up Howard, Raj, Leonard, and Sheldon since coming into the show during the second season. Since then, he has appeared in every series of the show. 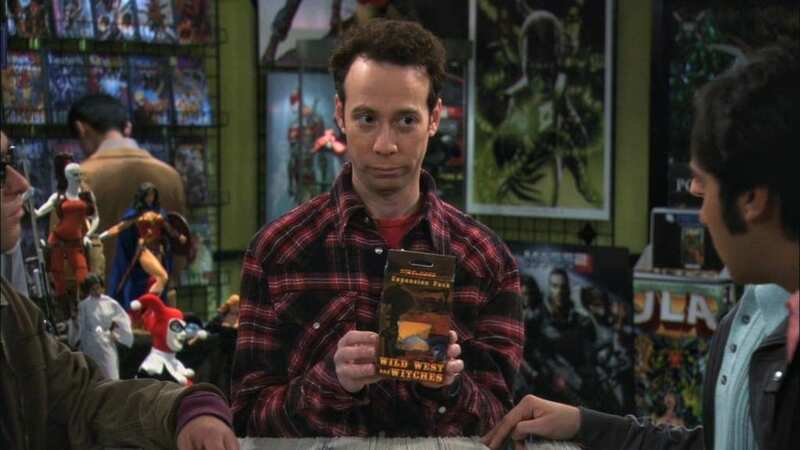 Outside the world of The Big Bang Theory, John has had plenty of work to keep him occupied. He started out by writing his own comedy routines that he would perform at various locations as he took the comedy world by storm. He got picked up by the show that catapulted him into the limelight as he is now best known for his character of Barry, but John has also had roles in He’s Just Not That Into You, as well as the movie What the Bleep Do We Know?! There wasn’t much getting into character for Wil after he was cast to play himself in the show from the first season. 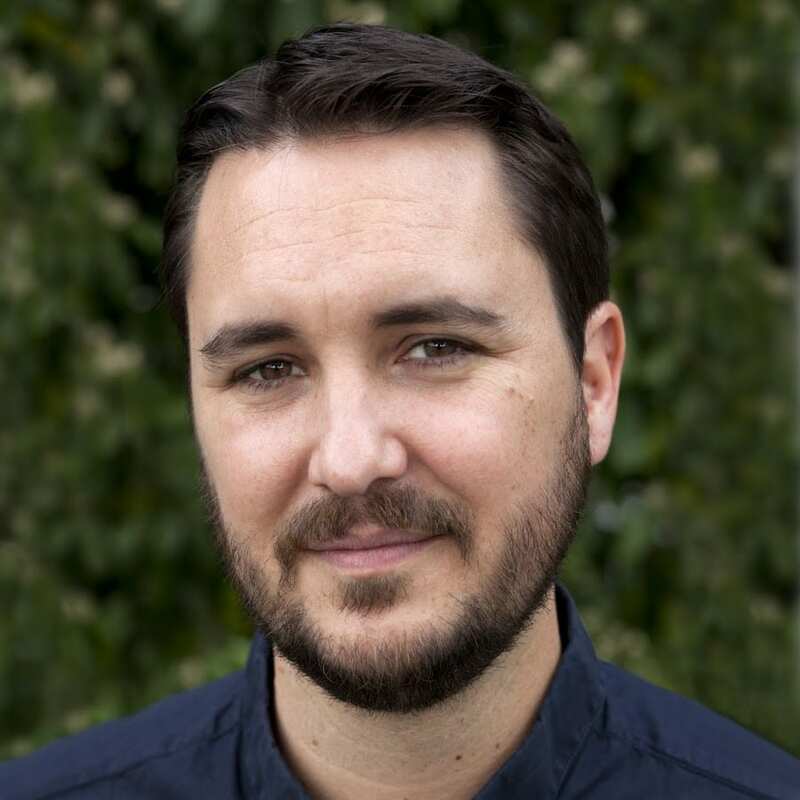 Even though Wil wasn’t playing a role as such, he did have a lot of acting to do as Wil in the show has a lot more darkness about his character. He and Sheldon clashed personalities initially, but they managed to put it all behind them in the fifth season; the two have gone on to become good friends – if that is possible with someone like Sheldon. This actor has had plenty to keep him busy over the course of his career. Not only has Richard William Wheaton III (how cool is that name?) 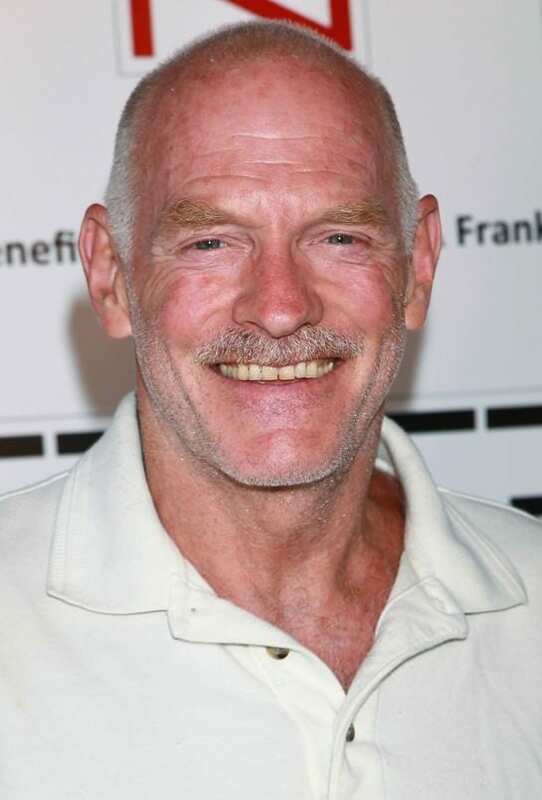 appeared in shows such as Star Trek: The Next Generation, and Legion of Superheroes, he has also had roles in Toy Soldiers, Eureka, and Stand By Me. If this wasn’t enough, Wil too does voice acting, writes, and runs a blog. To top it all off, he has had a hand in creating and hosting the show TableTop on YouTube! 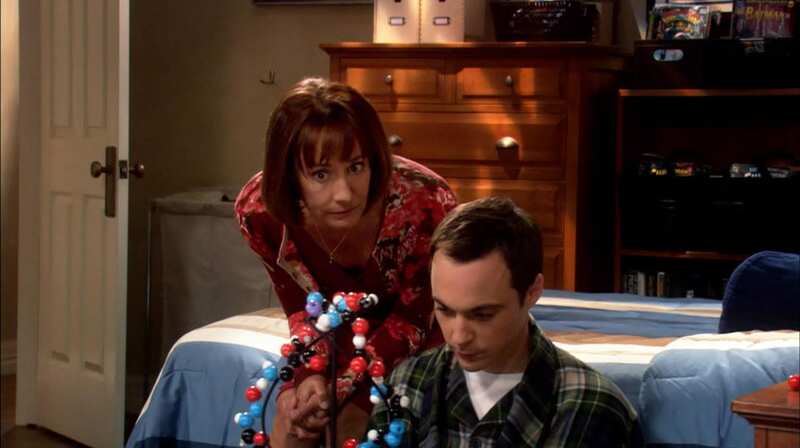 Mary is the mother of the genius we all know and love – Sheldon Cooper. 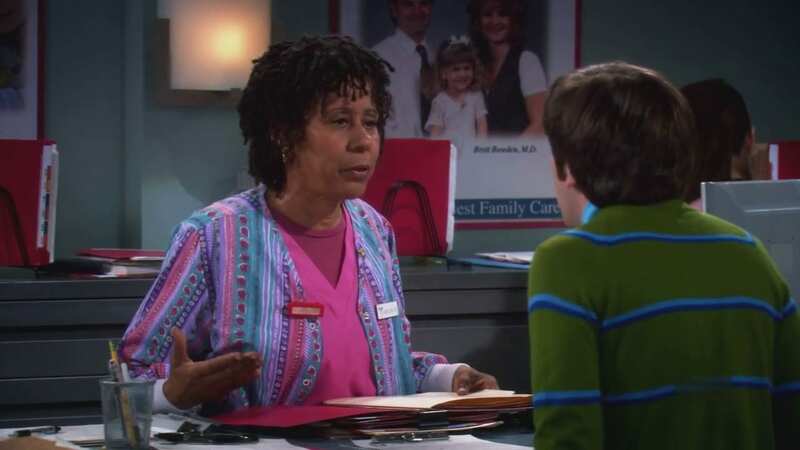 She has put up with a lot over the years, but is the one true person who can keep Sheldon under control, often getting a call from Leonard asking for her help. Mary couldn’t be more different from her son, as she is a born-again Christian who struggles to understand his field of expertise, but continues to love him dearly just the same. Mary has popped up in every season of the show so far. Laurie Metcalf may be best known as Mary Cooper, but plenty of people will recognize the star for some of the other incredible work she has done over the years. In addition to being on such incredible shows as Roseanne, Desperate Housewives, and Getting on, Laurie has been in some of the most recognized movies such as Mistress, Scream 2, and Toy Story. Not content there, Laurie has bagged a Tony Award after her time on stage – a lot of work for one woman! Cold, unyielding, and distant – to name just a few of her parental traits – Dr. Beverly Hofstadter is Leonard’s overanalyzing mother. 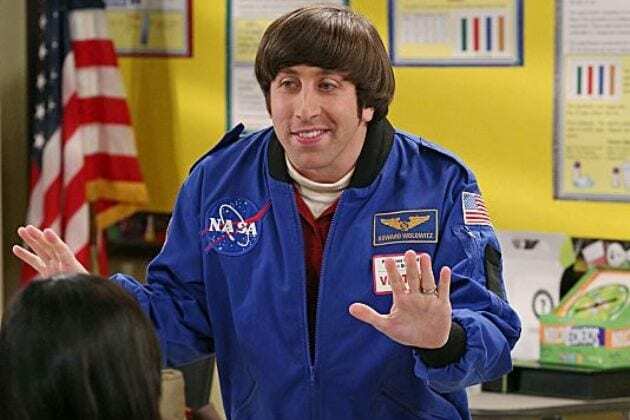 Although Leonard frequently speaks about stories from his childhood that would be enough to make anyone cringe, Beverly’s appearances on The Big Bang Theory are always ones that make us laugh. She has been on the show ten times over its duration so far, but only seven were in person, as the other three times included her crisply admonishing her son via video chat. Like we said, distant. Before entering into a life full of Hollywood glam, Christine studied at the prestigious college of performing arts, Juilliard. Ever since graduating she has taken over the acting world with her distinct character style. Christine has not only appeared on both the big and small screens, but she has also won two Tony Awards for roles she has played on stage. A talented singer, Christine was also one of the starring characters in Mamma Mia! back in 2008. While he may appear to be a background character (especially judging by the fact we only know him by the nickname the group gave him), Captain Sweatpants has appeared in six seasons of the show; he first appeared back in season two, but hasn’t been spotted since season seven. His character is always seen in Stuart’s comic book store wearing his staple superhero t-shirt and, you guessed it, sweatpants. 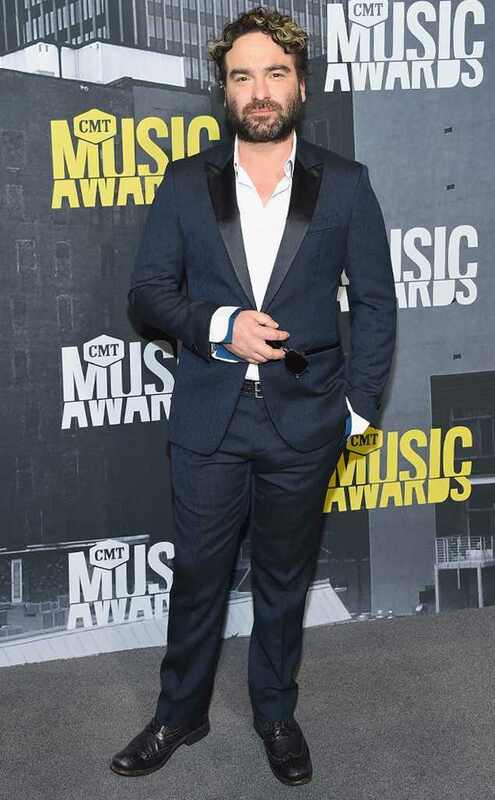 Does this man have any other clothes?! Much like his character on the show, Ian has unfortunately been overlooked in the acting world a lot of the time, too. However! Much to our delight, we discovered that ever since he began appearing on Big Bang, he’s been landing roles left and right, in both TV shows and TV films. We’re genuinely happy for the guy, but even if he would have only ever appeared as Captain Sweatpants, we would have loved him just the same. 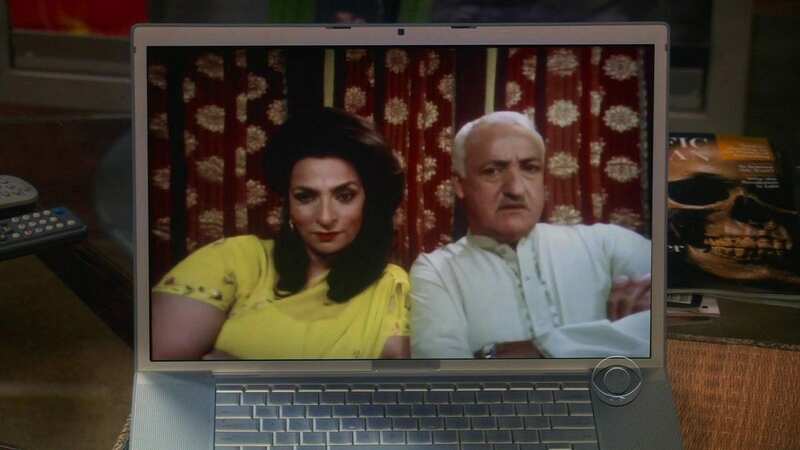 For a lot of the show’s run, we only ever saw the Dr. via a computer screen, as he was in New Delhi, India. 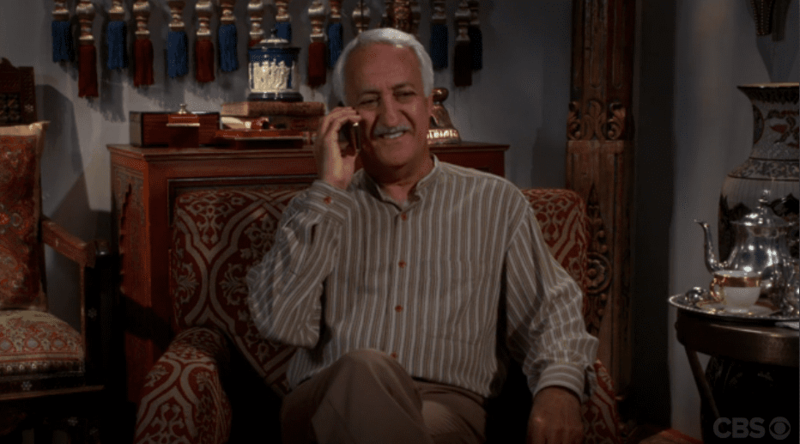 Raj’s father is a gynecologist who brings in a LOT of money – much to Raj and his sister Priya’s delight, as they get to reap the benefits of their father’s job. Over the years we have fallen in love with the character, with our prayers answered during the eighth season when he finally made the flight over for his first real-life appearance. Brian has undoubtedly seen the world over his lifetime. He was born back in Jerusalem but has lived in London and Israel, before settling down at his home in Toronto. It was in Canada that Brian began studying theater and the performing arts, which led to his first big break, a role in Austin Powers: International Man of Mystery. Before The Big Bang Theory, he had also made a name for himself playing the character of Babu Bhatt on the iconic sitcom Seinfeld. Meeting parents is always a nerve-wracking task, but no one on the show made it harder for their child’s partner as Mike did for Howard. Mike is Bernadette’s father and a former police officer. Not only does he have strong opinions, but he also made them very clear to anyone who asks – and some who don’t. 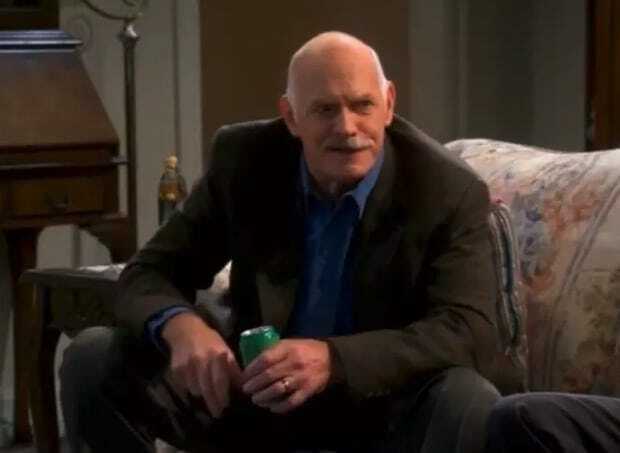 There were plenty of subjects that were off the table, but that didn’t stop Howard from trying to make a good impression on his father-in-law in the four seasons he has appeared on the show. 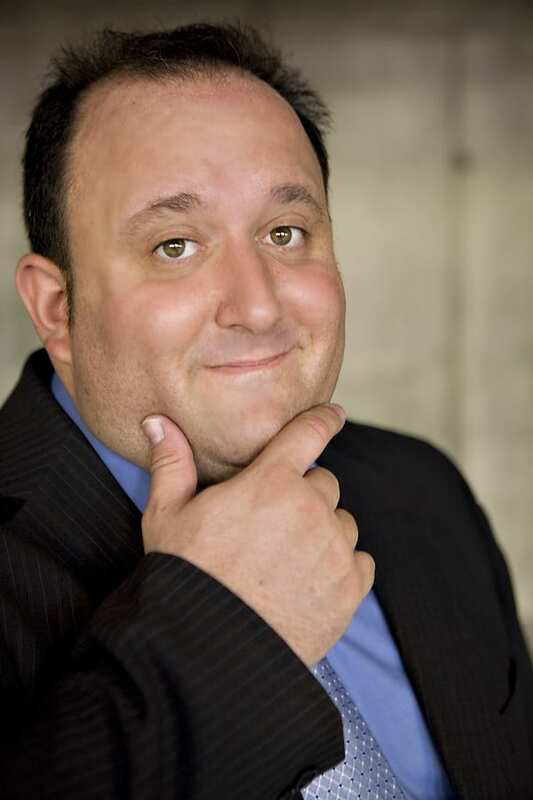 While he isn’t the most recognized actor, Casey has worked on a slew of great shows over the years. Some of these include roles on Buffy the Vampire Slayer, Mad Men, Hunter, Malcolm in the Middle, Sons of Anarchy, and Rules of Engagement. 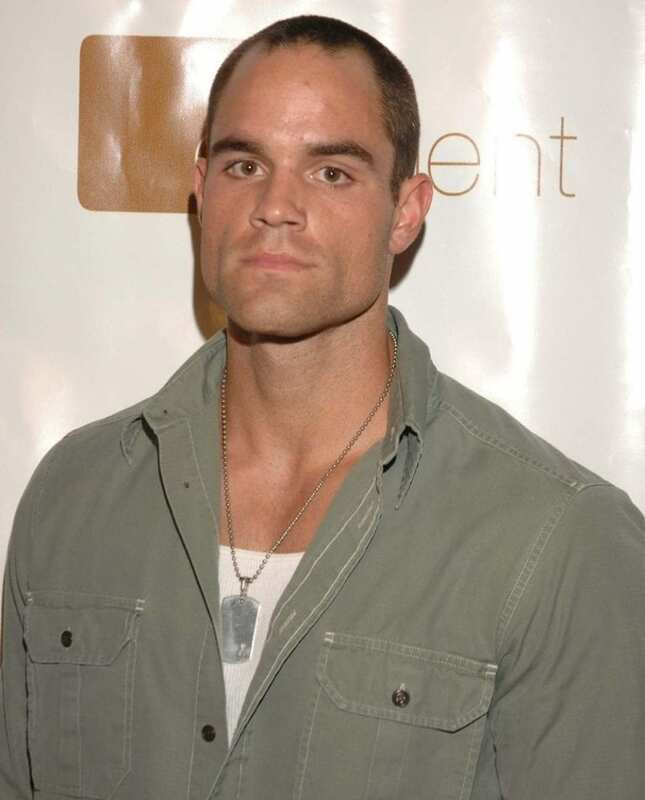 A former football star, after being released from the California Angels, Sander became a sportscaster, and only took up acting to improve his broadcasting skills. We’re guessing it won’t surprise you he was also a model for Winston Cigarettes – the man is definitely the rugged type! You’re probably not alone in wondering who this character was, but give us a minute and it’ll come to you, or we can just tell you! Althea was the host of the baby making donation facility, as well as manning the emergency room and the patient’s floor. She is one of the more sarcastic characters on the show, and even though she doesn’t crack a smile, her seriousness causes some real laughs. Interestingly, she was also in the pilot that never made it to air. 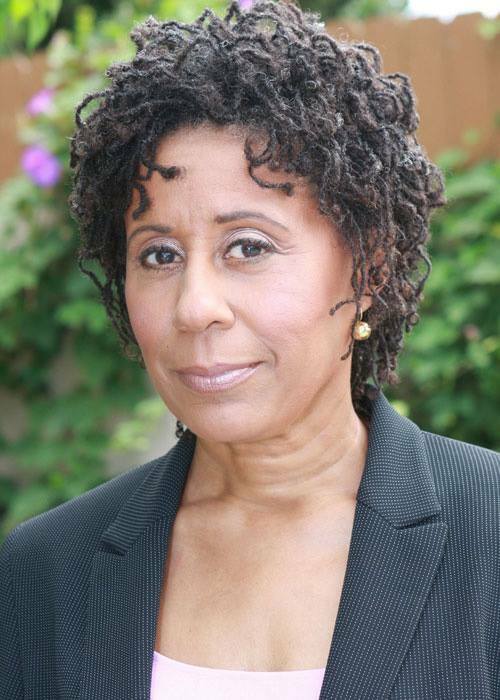 Vernee has enjoyed a monumental career to date, with her most recognized role being from when she played Verna Jean Williams on the sitcom Welcome Back, Kotter, alongside playing the role of Will’s mother on The Fresh Prince of Bel-Air. Not only this, but Vernee has also made appearances on Two and a Half Men, The X-Files, and Dexter while working as an acting coach, voice artist, and author. Phew, we’re tired just thinking about all that work! There may be various reasons we don’t get along with our bosses, but what about if they began a relationship with our mom? Well, unfortunately for Sheldon this is exactly what happened when his boss at Caltech, Eric, asked out his mother. Sheldon already had a complicated relationship with his boss as there was always something about him that he was unable to get on with, but this was accentuated after the dating his mom fiasco. Dr. Eric has only appeared in the first two seasons of the show so far. While his time on the show may have been short-lived, that hasn’t stopped Mark from developing his acting career elsewhere. 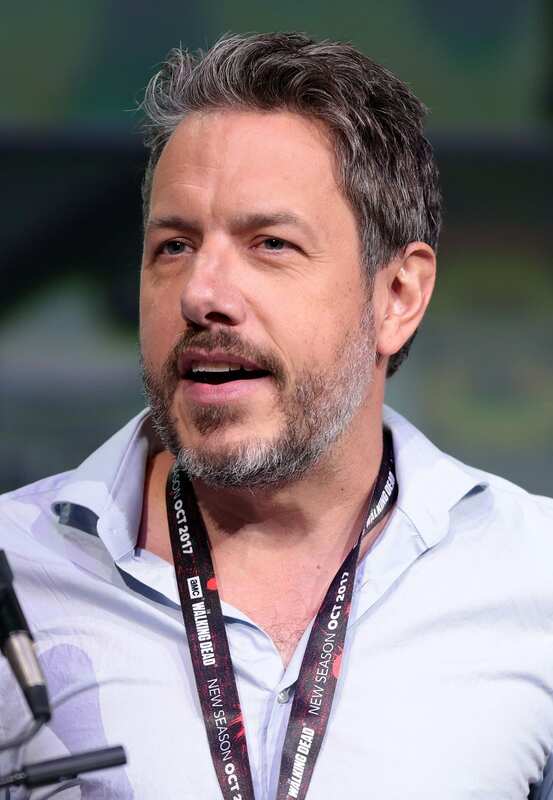 He has appeared in the likes of Battle of the Sexes, Breaking Bad, Seinfeld, Prison Break, and Jurassic Park III just to name a few. 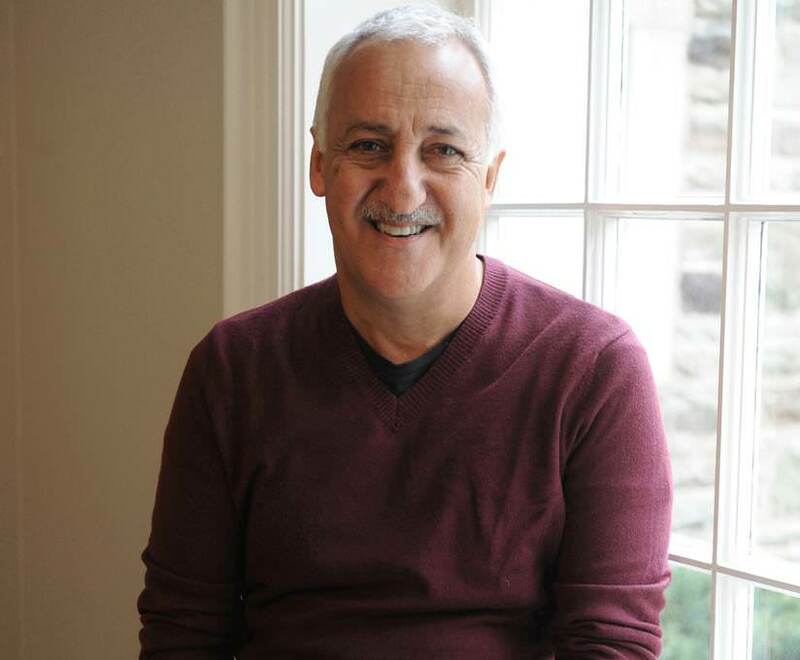 As well as acting, Mark is also involved in writing plays as he enjoys creating the pieces as well as being in them. Mark sure has had a busy career so far, and we can’t wait to see what he pops up in next. 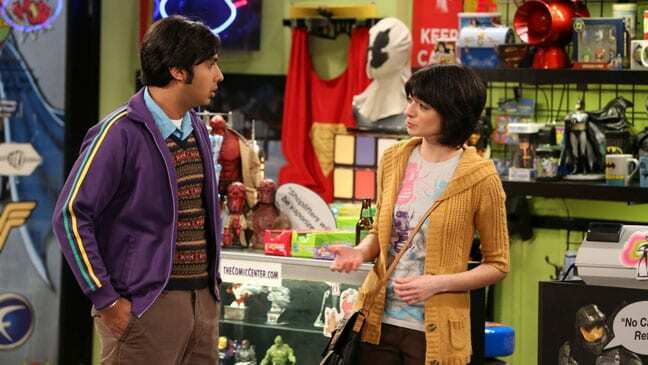 Lucy is one of Raj’s love interests in the show after the pair met when they attend a singles night that is held at the comic book store on Valentine’s Day. Lucy isn’t a talker as she is extremely socially awkward, feeling uncomfortable around strangers. Raj knows how she feels, but things don’t go to plan when he wants to introduce Lucy to his friends. Lucy ends things with Raj by sending him a text as she felt uncomfortable and things were going too far. In real life, Kate is 37 years old and has gone on to appear as the voice of many characters. Although she only featured in eight of the show’s episodes, she has appeared in cartoons such as Be Cool, Scooby-Doo, as well as Teenage Mutant Ninja Turtles. Kate has also done work for Disney as she has appeared in DuckTales, and Milo Murphy’s Law. A successful comic as well as an actress, last year Kate was cast to voice the character of Clayface for the latest Lego Batman Movie. Rebecca takes the group by surprise when she is introduced to them as Bert’s girlfriend, an awkward geologist who works with the boys at Caltech. After meeting everyone it is revealed that she used to be an actress, but never made it very far so gave up her career to become a personal fitness trainer instead. Sheldon implies to Bert that Rebecca is only dating him to get to his money. Later in the show, Bert arrives at their apartment to announce he had broken up with Rebecca. The Big Bang Theory wasn’t the first time we got to see April appearing on a sitcom as she had previously played Kandi (who was married to Alan) on the show Two and a Half Men. Alongside this significant role, April had also brought the character of Stacey Barrett to life for half a decade on Drop Dead Diva. Over the years she has appeared in several movies including Love’s Last Resort, and A Mother’s Crime, with her latest role being for the upcoming film Love Me or Else. Penny has been around since the first episode after she walked in as the eye-catching blonde neighbor who lives across the hall from Sheldon and Leonard. She initially works at The Cheesecake Factory waitressing as she struggled to become an actress, but eventually quits and becomes a pharmaceutical rep at the same company as Bernadette. Penny and Leonard have had an up and down relationship to say the least, but they finally tied the knot in the ninth season on a trip to Las Vegas. Kaley was used to being in front of the camera as she had previously starred on 8 Simple Rules where she played Bridget Hennessy. After landing her role on the show, she became the third and final actor that earns $900,000 for every one of her episodes – not a bad income! Her paycheck has seen Kaley become a millionaire which has enabled the actress to start a production company of her own. That’s not bad going for someone who is only 32 years old. 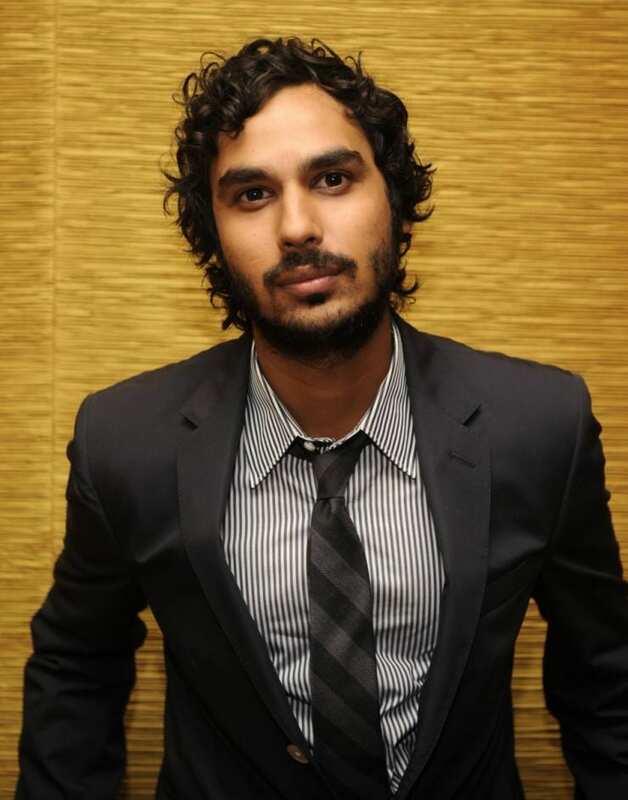 The other half of Raj’s parents is Mrs. Koothrappali. Throughout the show, we don’t learn too much about her background (or indeed her name), but we do know that she was once working in New Delhi as a healthcare employee. She and her onscreen husband, unfortunately, filed for a divorce during the 2015 season. She has appeared in the first to fifth seasons, with another appearance during season eight. Again, much like her husband, we mainly get to see her when she video chats her son. In real life, Alice is much like her Big Bang Theory husband as she, too, has moved around a lot over the years. After being born and raised in England, Alice lived in France, Japan, and Germany before she made her move to the U.S. It was during her 30s she decided to move to Los Angeles, so she was able to follow her dreams of becoming an actress finally. As well as appearing in TBBT, Alice also played the character of Dr. Kapoor in the show Hot In Cleveland.